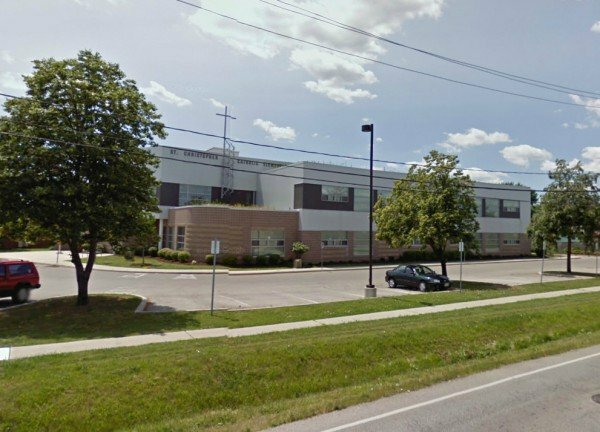 The Windsor-Essex Catholic District School Board is building an addition to St. Christopher Catholic School on North Service Road to prepare for Full-Day Early Learning / Kindergarten in the fall. The 1714 square foot addition has been designed by Architecttura Architects Inc and will come with 11 new parking spaces and extensive landscaping. The additional classroom space and outdoor play area will be build by Oscar Construction for a total cost of $3.2 million (shared with other school expansion projects). Holy Name Catholic School, Our Lady of Lourdes Catholic School, Our Lady of Mount Carmel Catholic School, Sacred Heart Catholic Elementary School, St Bernard Catholic School, St Christopher Catholic School, St John de Brebeuf Catholic School, St Joseph Catholic School, St Peter Catholic School and St Rose Catholic School will all be offering Full-Day Kindergarten starting in September 2012.